Parabellum has designed a fly screen based directly on fly screens seen at the Isle of Mann TT decades ago. 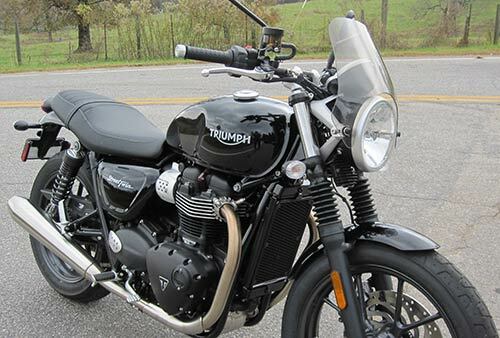 This small, slick windshield complements the iconic Triumph styling while remaining surprisingly functional. This screen, though small, is wider than competitors’ fly screens sending air around the sides of the rider. 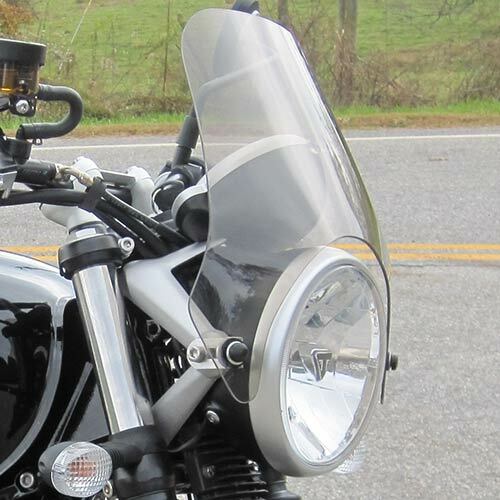 The height of the fly screen is also effective in keeping heavy wind off the rider’s chest without disturbing the wind hitting the rider’s helmet. This screen measures 9.5 inches high, 14 inches wide at the widest point and 10 inches wide at the top.